This was a pretty good week. A bit busy with lots of small things that needed to be done. 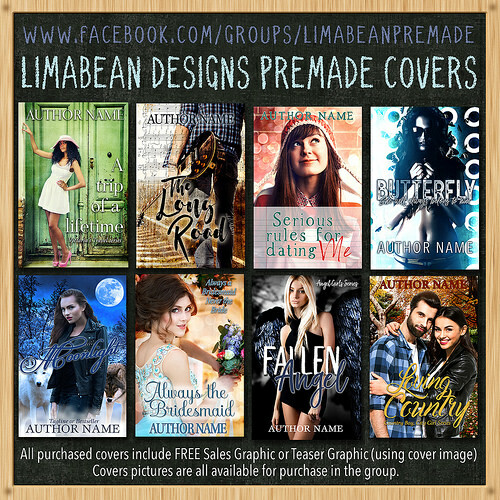 I had two cover reveals I organized early in the week and the rest of the week was a bit quieter with tour work. So I focused on getting some small things prepared for later (drafted a discount post and e-mail) and did some more assistant work than normal. 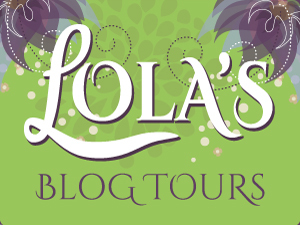 I sent out four media kits for tours that start next week and I announced my Lola’s Blog Tours Christmas Giveaway! On Friday my mom stopped by for a visit. And there were some things I got done around the house. A few things got cleaned up and moved around. I am hoping to put the Christmas tree up soon. I also had a decent reading week, I finished two books and my two current reads are pretty good. I do notice I have some trouble making time for non review books, I had a lot of review obligations recently. 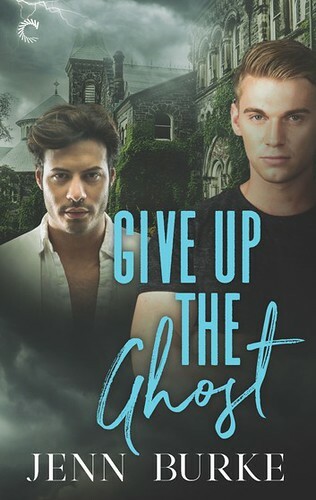 Which is something I need to keep an eye on as it can be a tad stressing when I take on too many review obligations and have less time for other books. Even though I am really enjoying all my review books. I also had some things pop up that took more time and I didn’t get much blog commenting done as I had planned. There was a fun black Friday giveaway hop that I stopped by on Friday. I had a bit of a headache on Friday and didn’t get as much done as I had hoped. 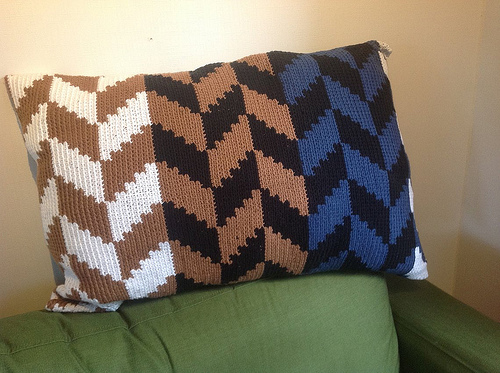 And I am joing the Winter Coyer again this year. I am just joining in for the normal Coyer and seeing how many free/ cheap e-books I can get read. 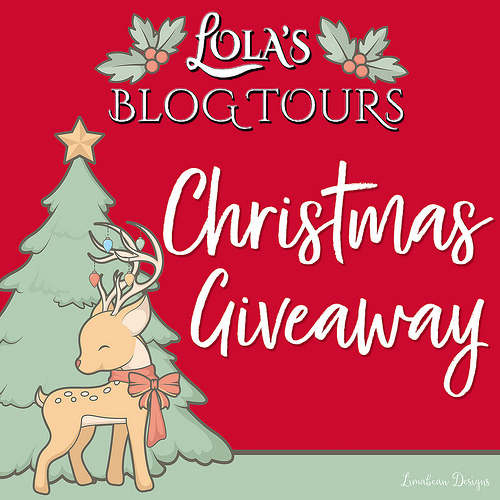 I am hosting a Christmas Giveaway on Lola’s Blog Tours! 3 winners will each win a book of their choice from the Bookdepository up to $10! The giveaway ends early December so the books will hopefully still arrive in time for Christmas or close around that time at least. And how awesome is that banner? Michelle from Limabean Designs designed it for me and I love it! A decent reading book. I finished two books and making good progress with my current reads. the two books I finished were both 3 star reads. 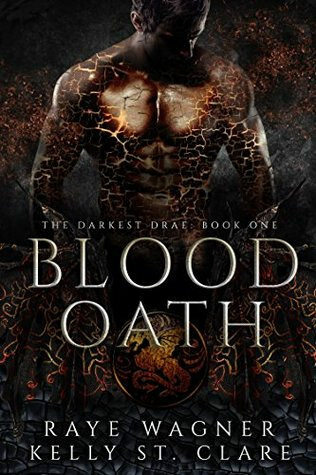 I didn’t enjoy Blood Oath as much as I had hoped, mostly because it was too dark, grim and bleak for my tastes. but it was well written and had parts I did enjoy, I do think it’s a good book just not full to my taste. 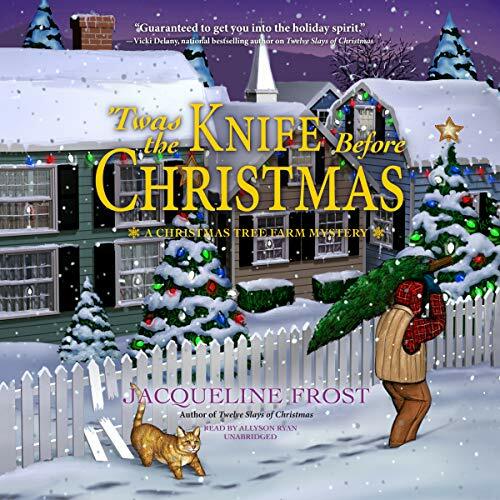 His Pregnant Secretary was a nice romance novel, I liked the Christmas theme and setting and seeing more of the three new brothers, but I didn’t care as much about the baby plot line and how some of the conflict was a bit similar to previous books. – We Have a few good memories, don’t we? 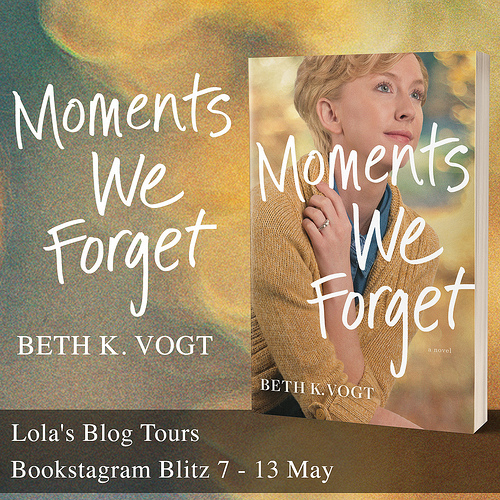 by Katie Lewington – 5 December – New! 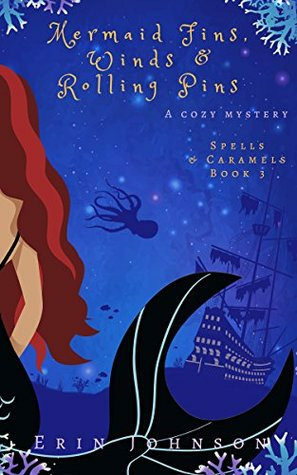 I couldn’t resist getting Mermaid Fins, Winds & Rolling Pins when I noticed it wa sonly 99c, even though I haven’t read the first two books yet. This series just sounds so fun and I hope I can read book 1 soon. 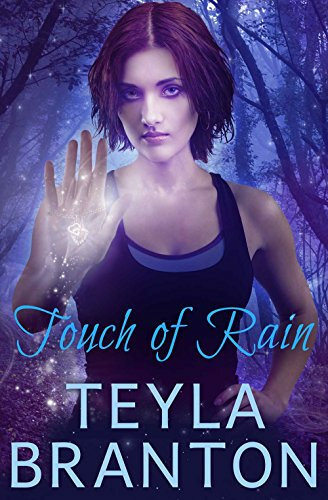 The blurb of Touch of Rain caught my attention and for only 99c I decided to pick up a copy. 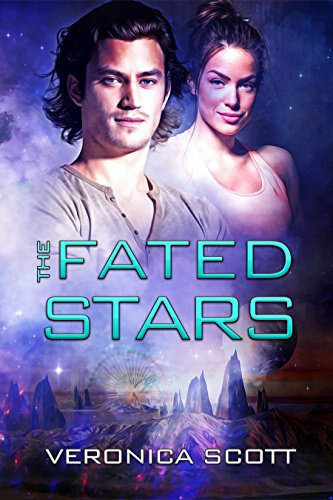 Fated Stars was on my wishlist since it was released, I really enjoy Veronica Scott’s empath stories so far, so I bought a copy as soon as I could. 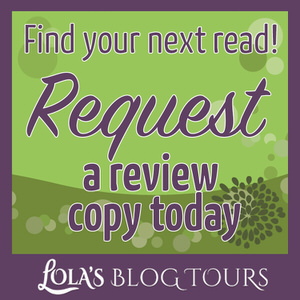 Inseparable I got for review and I am really curious about this standalone contemporary romance. I hope that you enjoy your new books and have a great week ahead! Thanks! I think it’s really cute too :). Sounds like a decent week, then. Too bad about the headache day. I had an ear infection that finally got cleared up and stopped hurting and distracting me. Neat about the Christmas banner and giveaway for your Tour page. I agree about taking on too many review books and not enough from my own shelves. I did better at that this year, but I think I still need to limit it further. 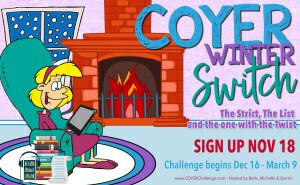 Oh hey, I’m doing the regular COYER challenge for the Winter, too. Well done on getting through your books even if they were okay ones. Nice haul of new ones. Haha, that first book title! Sorry to hear about your ear infection, that sounds painful! I do well some months and then this month I read 7 review books of the 9 I read. I have to try and balance things better as I have some non-review books I want to get to as well. But then I am doing much better at reviewing the review books in a timely manner, so that’s good too, I just have to try and sign-up for less of them per month I think. Yay, glad to hear you’re doing Coyer as well! Simply sandwiches are good for dinner, it’s nice to have some easy dishes sometimes. we often eat soup with bread one day a week when I want something easy. I hope you had a great thanksgiving! I like the rhyming titles for each of the books in that series. I just read the first book in that series this week and I really enjoyed it. I had a bothersome headache one day this week too, so I feel you. Glad you mostly had a good week though 🙂 Looks like you had a pretty good book haul too! I also feel like I’ve been a bit stressed with review copies. I’m on my last one that I really feel obligated to get read quickly. I only have one actual advanced copy left, but that release isn’t until April, and the rest, well, I’ve had those for months already and they’re all past release so I guess a bit longer won’t make much difference lol. Headaches always can mess up a day :(. Luckily it was a pretty good week besides that. I’ve been doing better at reading new review copies in a timely manner, but when I have a bunch of review deadlines in a row it can get stressing. I only have 2 reviews copies with future dates left at the moment I think and 2 or so more that I know I’ll be receiving soon-ish, the rest are all older ones. So hopefully I can can get some non review books fit in as well. It sounds like you had a good week apart from the headache. I hope this weekend is a great one, Lola. Your new books look really good, and I hope you’ll enjoy them. Thanks Lexie! It was a good week except for the headache. aww…I just love your giveaway banner, its adorable. I am seriously thinking about joining up with the Winter Coyer. Just need to work on my lists of books. 🙂 Happy Sunday. Glad to hear you’re considering joining Coyer too! I am really happy with the giveaway banner! It looks great! Headaches sure get in the way. I too dislike having too many review books, as knowing I HAVE to review them can be stressful. That said I review nearly all my ‘non review’ books too, but it’s nice feeling I have the choice. Good luck at COYER, sounds like a good plan. I do enjoy a lot of the review books, but having the pressure to review them still can get to me at times. I do review almost all of my non review books too. It was a good week. I’ll have to aim for 4 review books per month, but often end up with more. Sorry about the headache, but it sounds like you got a lot done. Have a great week and enjoy your new books! It sure was a productive week! Sounds like a good week for you! I hopped over and entered your contest and tweeted about it, so hopefully it brings you a few more followers! 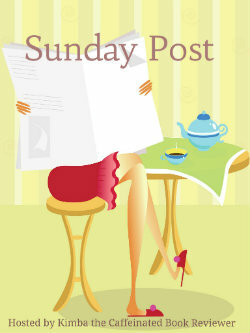 Thanks for entering my giveaway and sharing about it! I appreciate it :). It’s getting a lot of entries and I see an increase in followers as well.